Many Canadian children are spending the holidays battling the flu and other respiratory illnesses — and an early start to the flu season might be partly to blame, public health officials say. Doctors say it's not too late to get the flu shot, which they expect to be more effective than last year. Many Canadian children are spending the holidays battling the flu and other respiratory illnesses — and an early start to the flu season might be partly to blame, pediatricians and public health officials say. "We're seeing a tremendous amount of viral illness [in children]," said Dr. Catherine Farrell, a pediatric intensive care specialist at CHU Sainte-Justine, a pediatric and maternal care hospital in Montreal. "Our hospitals are bursting to the seams. Our emergency rooms are really overloaded. Our inpatient units are full and we have a very high occupation rate with respiratory illness in the intensive care unit ... and it's the same with the other intensive care units here in Quebec," Farrell said. There are a few different types of respiratory viruses circulating, she said, including influenza A — which can lead to serious secondary infections, such as pneumonia, that put children in hospital. More than three times as many children have been hospitalized with the flu across the country compared to this time last year, according to the Public Health Agency of Canada's latest FluWatch report. As of Dec. 15 (the most recent data available), 8,245 cases of the flu in both adults and children had been confirmed, according to the FluWatch report. About 10 per cent of those cases — 864 — required hospitalization. More than 280 of those hospitalizations were children age 16 or under. Most of the 47 cases so serious that they required admission to the ICU were children under 10 years of age, the report said. At this time last year, there were 2,400 fewer confirmed flu cases in Canada overall — and only 26 children had been hospitalized. There are a couple of possible reasons for the increased number of hospitalizations among children this year, said Anna Maddison, a spokesperson for the Public Health Agency of Canada, in an email to CBC News. "The current flu season began two weeks earlier compared to last year," she said. It started in mid-October rather than the beginning of November. That means it's possible that by the end of the flu season, the total number of children hospitalized may be the same as last year, but simply happened earlier. The dominant strain of flu circulating this year — influenza A H1N1 — is also associated with "a higher burden of disease ... among children than among adults," Maddison said. Last year, the dominant strain was influenza A H3N2 — a particularly virulent type that made people of all ages very sick, but sent more adults age 65 and over to hospital than children and younger adults. 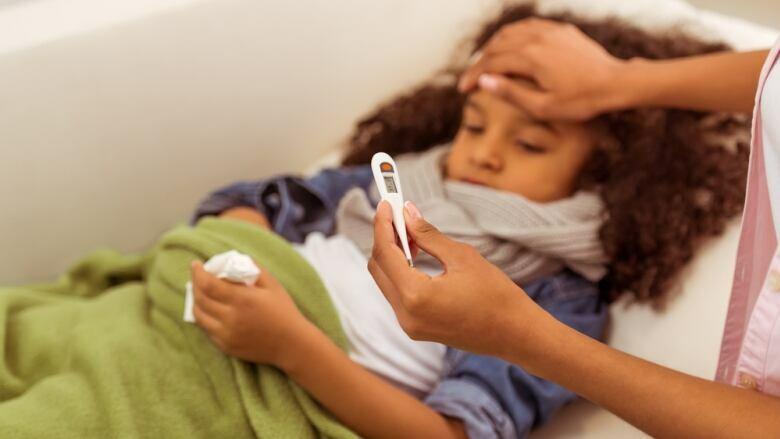 Although the flu is "a pretty severe infection" compared to a cold, the majority of people — both children and adults — are able to recover at home without having to go to the hospital, said Dr. Isaac Bogoch, an infectious disease specialist at Toronto General Hospital. Very young children, seniors and people with underlying medical conditions, such as heart or lung disease, are most at risk of becoming so ill they require hospitalization, he said. One reason for hospitalization can be pneumonia, which is a "very well-known complication of influenza ," Bogoch said. 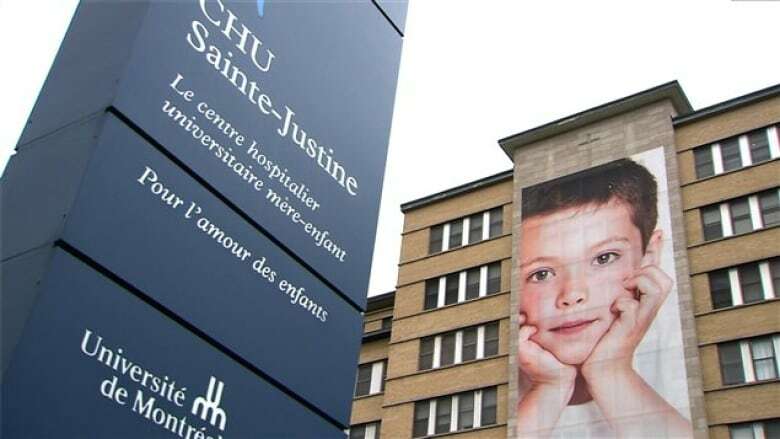 Both CHU Sainte-Justine in Montreal and The Hospital for Sick Children (SickKids) in Toronto say they have seen many children with pneumonia recently, although it's not clear whether those cases are linked to the flu. "We typically see many kids presenting with pneumonia at this time of the year. Anecdotally, we have seen high volumes of children presenting with pneumonia over the past few weeks," Jessamine Luck, a SickKids spokesperson, told CBC News in an email. "Pneumonia can be related to influenza but it can also be caused by other viral and bacterial illnesses in children." But unlike most of those other illnesses, there is a vaccine for influenza, said Farrell, who is also president of the Canadian Paediatric Society. It's not too late for parents to get their children the flu shot, she said. Public health officials have acknowledged that last year's flu vaccine was disappointing, with a low effectiveness rate. Although it's too soon to measure the effectiveness this year's version, some early indicators are promising, according to the Public Health Agency of Canada. Based on laboratory comparisons between the form of H1N1 virus built into the vaccine and the form of the virus that has actually emerged as the dominant strain, "the vaccine component this season appears to be a good match against the H1N1 viruses that are predominantly circulating in Canada," Maddison said. In addition, preliminary data from Australia — which already had its flu season — showed that people who had been vaccinated this year were 68 per cent less likely to see a doctor or nurse practitioner for the flu compared to unvaccinated people, she said. Choosing to get the flu shot — for yourself and for your children — is a "no-brainer," Bogoch said. "[It's] likely to be much, much better than last year," he said. But even if it weren't, the flu shot does more than prevent the virus, he said, noting that data suggests the vaccine can also help reduce the severity of infection — which in turn could prevent hospitalizations. With an increased number of children falling ill with the flu and other respiratory illnesses this time of year, CBC News asked Dr. Jonathan Gubbay, a pediatric infectious disease physician and medical microbiologist with Public Health Ontario for his advice to parents. From a prevention standpoint, the best things parents can do is have their children vaccinated against the flu, make sure they are washing their hands and keep them home from school if they are sick so they don't spread the virus to others, he said. A fever that doesn't get better within a couple of days. If children show any of those symptoms, parents should take them to see their doctor or nurse practitioner, or to the hospital, Gubbay said.